A novelty at Tucson 2011. 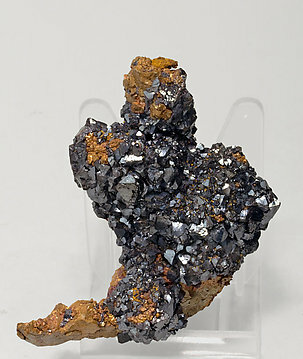 Group of very well developed crystals of native Copper, some of them perimorphs after Cuprite and coated by aggregates of octahedral crystals of the same species that are very bright and with slightly curved faces and edges. A novelty at Tucson 2011. 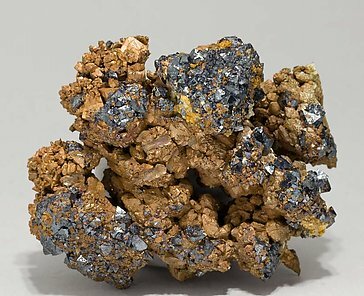 Arborescent growths of octahedral crystals of native Copper perimorphs after Cuprite and partially covered by octahedral crystals of the same species that are very bright with slightly curved faces and edges. 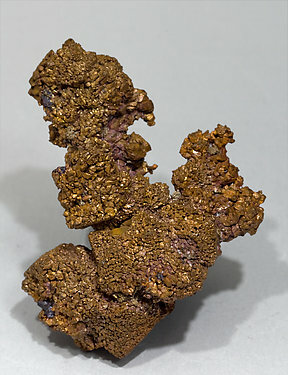 Aggregate of Copper crystals that are pseudomorphs and perimorphs after octahedral crystals of Cuprite, with a second generation of small octahedral crystals of Cuprite with vivid reddish reflections.